Adults: Roxithromycin is indicated for the treatment of the following types of mild to moderately severe infections in adults caused by or likely to be caused by susceptible micro-organisms: Upper respiratory tract infection: acute pharyngitis, tonsillitis, and sinusitis. Lower respiratory tract infection: acute bronchitis and acute exacerbation of chronic bronchitis; community acquired pneumonia. Skin and skin structure infections. Non-gonococcal urethritis. 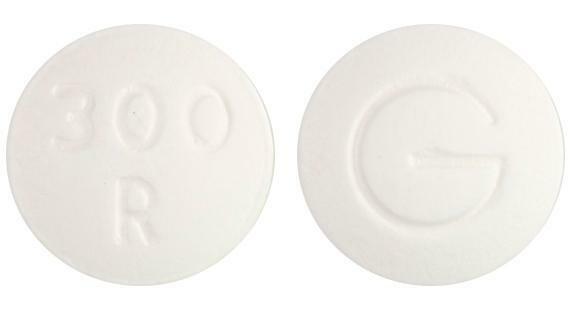 Children: Roxithromycin 150 mg tablets are indicated for the treatment of the following mild to moderately severe infections in children caused by or likely to be caused by susceptible micro-organisms: Acute pharyngitis. Acute tonsillitis. Impetigo. Appropriate culture and sensitivity tests should be performed when necessary to determine an organisms susceptibility and thus treatment suitability. Therapy with roxithromycin may be initiated before results of these tests are known; once results become available, appropriate therapy should be continued. 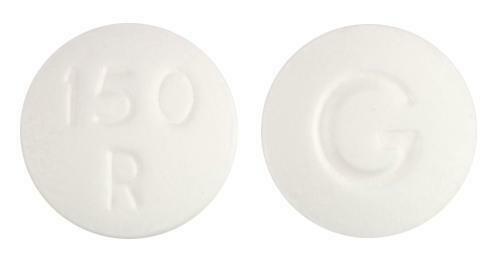 White, round, film-coated, biconvex tablet, embossed '300' 'R' on one side and "G' on the other. 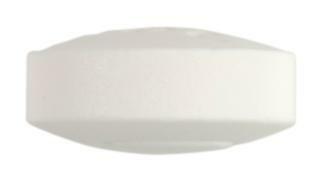 White, round, film-coated, biconvex tablet, embossed '150' 'R' on one side and "G' on the other.